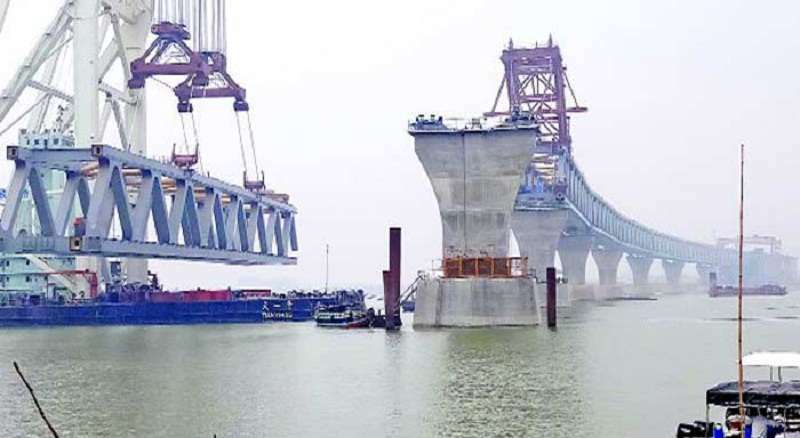 The ninth span of the 6.15-kilometre long much-awaited Padma Bridge is now set to be installed on 34th and 35th pillar at Jajira end in Shariatpur district on Friday. Bridge Division Deputy Director Engineer Md Humayun Kabir has confirmed the news to reporters. The installation work of the 150-meter long ninth span was expected to complete by 12pm today. Sources from the Bridge Division also said a total of 41 spans will be installed on 42 concrete pillars to complete the bridge. Over 75 percent work of the main bridge has been done so far, the officials concerned also said.